Ellis Paul has never stood still. Whether criss-crossing the country on concert tours or exploring new musical and lyrical territory, Paul is in constant motion as one of Boston's finest singer-songwriter exports. 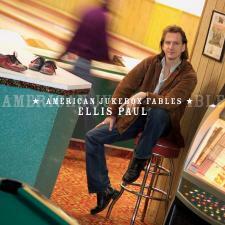 On American Jukebox Fables, his first solo CD since 2002s The Speed of Trees, Paul expands his sonic palette still further, adding contemporary flourishes to his signature mix of folk storytelling, beat poetry, and pop songcraft. Anchored by an intimate voice thats grown yet more compelling, and tasteful support from Rachael Davis and producer Flynn, American Jukebox Fables is a moving reflection on the state of the world and matters of the heart.